I’m predicting three trends for 2012 charity auctions. Two of them involve execution. No, nothing that harsh. I’m talking about the other kind of execution, when we’re getting stuff done. We’ve heard a lot in the past couple years about trends in technology, but I think 2012 is the first time we are going to see some of these ideas in action. First – for better or worse – mobile bidding will become more widely adopted in the silent auction. Vendors have been touting electronic bidding through mobile devices for a solid two years, but the high cost, the long planning life of a gala, and the fact that committees take time to research and absorb new technologies meant it wasn’t as widely used. 2012 is the first year we’ll see mobile bidding adopted at numerous events, primarily in metropolitan areas. This fire is fueled by the many new vendors pouring into this space. Prices are falling and the technology is improving. The mobile bidding of the past – and by “past” I mean 18 months ago – has morphed into text bidding and “use your own phone.” Instead of giving each guest a bidding device upon entering the gala, guests will be encouraged to use their own mobile phone and bid through a downloadable application or via text. Moving forward, I don’t think you’ll see auction guests carrying around event-provided devices and key cards as much as you’ll see committees encouraging guests to use their own phones to bid. The second nonprofit auction trend of 2012 rests with online auctions. Online charity auctions have steadily gained in popularity over the last 10 years, but I think 2012 is the year when they will start to combine with the onsite gala auction experience. This merge could take several forms. For instance, the final bid price achieved in the online auction might become the starting bid in the silent or live auction held onsite. Or online bidders could be invited to place bids – in real time – during the live gala auction. This last technique has a proven history in commercial auctions but is generally new to the charity auction gala scene. And finally, no auction trend forecast is complete unless it covers food. In 2012, food trends will continue to spill over into charity auctions. Small, mini, and petite is what I expect to see on serving trays and buffet tables. 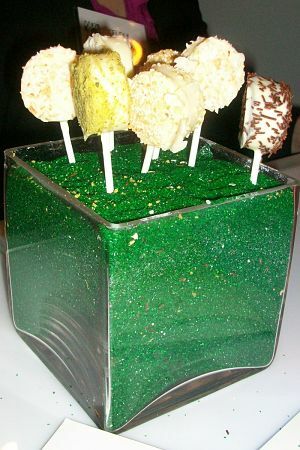 The invasion of cake pops, mini cupcakes, and bite-sized delectables will give a fresh look to a gala’s dessert menu. I’ll be taking notes this year as my team and I work onsite at about 50 charity auctions around the USA. Stay tuned! Thanks for stopping by, Anna. Funny how food at any event – even online- can grab all the attention. Completely agreed! Mobile bidding will definitely be making an impact and I have to say, I’m a fan. And anything to do with cake pops, I’m in. Ahhhh, cake pops. 🙂 Thanks for weighing in, Kate. I am intrigued by your 100 top items list after listening in on your silent auction webinar the other day. However, i signed up for it and have not received. what should i do? thank you! Ah ha! Thanks for emailing. This sounds like a whitelisting problem. So .. try again now to get it immediately (using the same email or different (after you whitelist)) and see what happens. I totally agree! And, from your fingers (typing) to God’s ears! The future is mobile bidding and mobile checkout. And, although that’s awesome on it’s own, it requires the auction to enter their items in software which not only automatically builds an online catalog but is a HUGE savings of time and energy plus, I think, it makes the process easier and adds an element of fun in the process. Thanks for your great words of wisdom. Maybe the next step is to get donors to enter their own items into the software … and then it’s “approved” by the nonprofit (or packaged with something else before going online). Oooooh, wouldn’t that be sweet, Donna?